A big theme with the left is various vendors from past Trump projects complaining about whether they received full payment. Being somebody who actually works in contracting, these sort of billing disputes are very common. I was prepared to write a Pulitzer worthy explanation of the the processes of how General Contractors and Sub Contractors work on large projects, billing, charge backs, damages, litigation, the whole ball of wax. It would have been FASCINATING. Then I realized something. Who cares? The Democrat slant is that Trump ran the company, and people are unhappy, so he is a bad man. Fine. Let’s go with that. There are unhappy vendors, and it is all Trump’s fault. Now what about Hillary? So Trump is responsible for unhappy vendors who are alive today to complain about his management style. 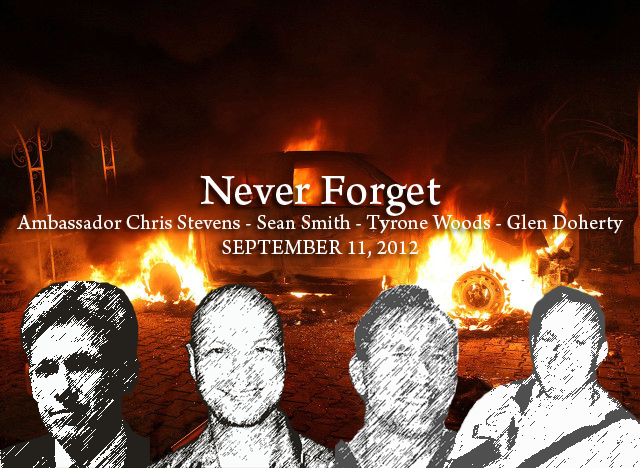 Hillary is responsible ignoring requests for security in a country that was descending into anarchy and left 4 men dead and therefore unable to complain about her management style. Is there any question about which one is worse?